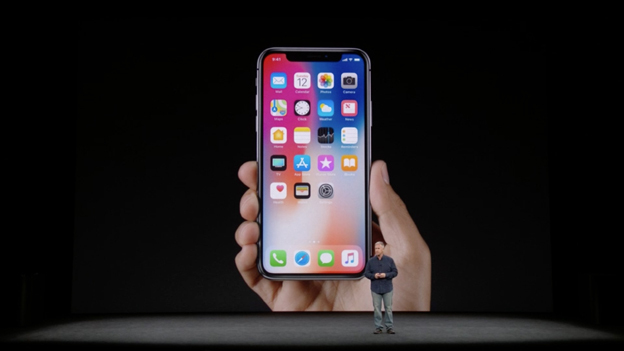 The new iPhone already has a name: it is the iPhone X and it is the best Apple phone that has ever existed to date. It is the highest-end model of the three phones that have just been launched by the company in its new Steve Jobs theater at the Apple Park (the other two are the iPhone 8 and 8 Plus) and the most striking feature of its design is the introduction of a screen format that goes from edge to edge. However, this is only one of the novelties brought by this 10th-anniversary launch. The iPhone X coincides with a very special moment for the company: the iPhone’s 10th anniversary, which explains Apple’s decision of giving its new phone this curious name (the ‘X’ stands for ten in the Roman numeric system) in an unprecedented change of strategy. 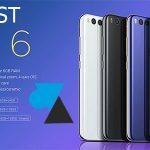 It all started with the original iPhone that was launched back in 2007, but ten years have passed since then and with this new model we find an absolute renewal over the latest iPhone 7 and iPhone 7 Plus. What has changed in Apple’s new iPhone? Out of all the novelties, the most striking one is that the new iPhone 8’s best model sports a screen that virtually covers the phone’s entire front. 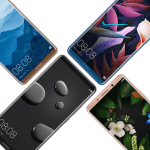 As we have already seen in the Samsung Galaxy S8, the LG V30 and many others, bezel-less displays are now the hot new thing that is featured on high-end phones, and Apple also wanted to take on this new trend. Let’s take a closer look at all of the iPhone’s novelties. After years of being faithful to a design that has undergone few modifications as the years have gone by, Apple has decided to shake things up with the iPhone X: bid farewell to the screen bezels, to the dual-camera horizontal layout and to Touch ID. With what we have seen from the iPhone 6 onwards, those looking for similarities in terms of design will not find a significant resemblance. The other stars of the event: the iPhone 8 and the iPhone 8 Plus with facial recognition and wireless charging. Just as manufacturers like Samsung or LG have already done, Apple moved to a new screen format featuring the new Super Retina technology. What does this mean? Basically, the new iPhone’s display is a little narrower and longer than usual. This format allows Apple to incorporate a bigger screen size without increasing the phone’s body, which explains why this phone’s dimensions are so far from from the ones on the biggest of its predecessors, the iPhone 7 Plus. 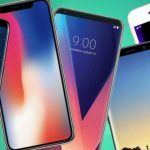 This year, with the 10th-anniversary iPhone there is no possibility to choose between two different screen sizes: by taking advantage of a new format that allows having more screen size in less space, the company has decided to bet on a single phone size that is halfway between what users would require from the iPhone 8 and the 8 Plus, as the screen is 5.8 inches. 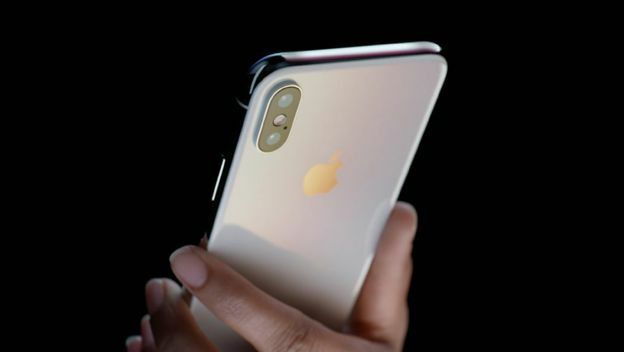 As far as design is concerned, the iPhone X is built on a stainless steel body combined with the glass both in the front (which by the way is no longer available in white, as the two models are only available in black) and in the back. It has an IP67 rating for water resistance. Another great iPhone X novelty that also sets it apart from the iPhone 8 is the change to OLED displays. The people at Cupertino have ditched the IPS LCD screens that their mobiles featured until now, going directly for a technology that allows the iPhone to offer images with much deeper blacks. 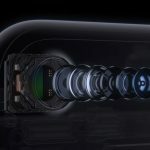 Therefore, we can expect the image quality to be another highlight of this new iPhone’s first reviews. The display also features support for the HDR format (Dolby Vision and HDR10) and has a 2,436 x 1,125 pixels resolution, achieving a 458 ppi density. The screen’s maximum brightness reaches an outstanding 625 cd/m2 and a 1,000,000:1 contrast ratio. The iPhone X not only says goodbye to the screen bezels, but also gets rid of the fingerprint sensor that this brand’s phones sported for so many years on their bottom bezel. 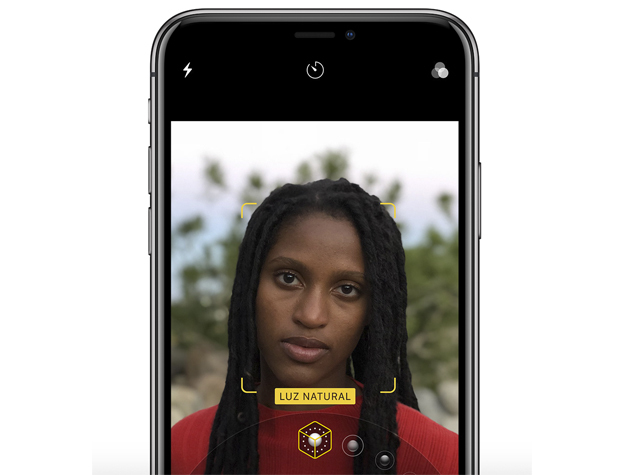 Instead of it, the new iPhone will now be unlocked with your face and there is no way for it to be fooled with a simple photo: its technology even analyzes the depth of every facial feature. This new technology, named Face ID, even uses machine learning technologies to prevent other people from accessing the phone without your permission. In fact, Apple points out that the chances for someone to fool this unlocking method are one in a million. 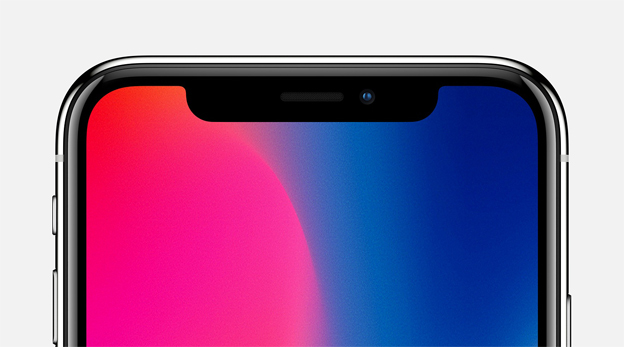 Given that this technology faces the not-so-easy challenge of equating the convenience of unlocking a phone via the fingerprint sensor, Apple has worked on Face ID to ensure that it is able to recognize the user’s face in any situation: at night, with their glasses on, with a hat covering their heads, etc., and the first iPhone X reviews will reveal to what extent the brand has improved this technology. 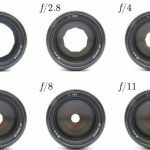 In terms of the camera, we have dual 12-megapixel cameras that combine a main lens featuring an f/1.8 aperture with an additional telephoto lens featuring an f/2.4 aperture. Apple has made significant improvements on the selfies game, allowing users to edit the lighting applied to people’s faces in real time. 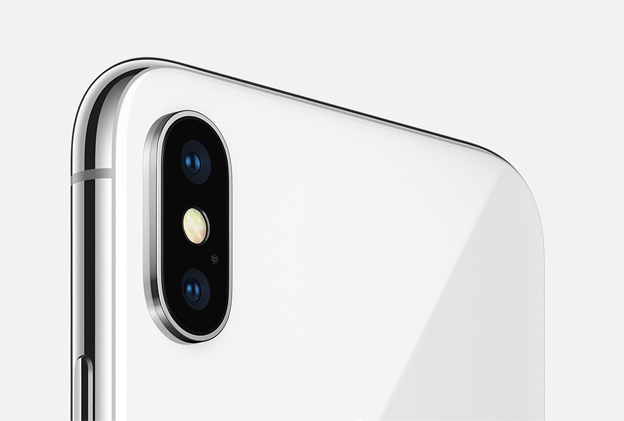 In terms of video recording, the iPhone X is capable of immortalizing scenes at a 4K resolution and at up to 60 fps while the slow-mo video recording raises the rate to 240 fps at a Full HD 1,920 x 1,080 pixels resolution. We also get a 7-megapixel front camera that introduces the Portrait Mode that was only used through the main camera until now. 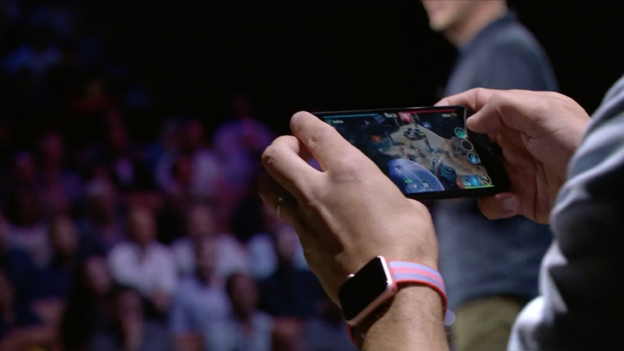 And as with any important Apple event, a little extra feature could not be missing during this new phone’s unveiling. We are talking about Animoji, a feature that shows our facial expressions on 3D animated emojis, as they will mirror the gestures that we make in front of the camera. Year after year, Apple adds more power to devices that, generation after generation, have always been able to boast about the fluidity of the phones’ interface thanks to the iOS optimization. This year, the brand is renewing the processor with the new Apple A11 Bionic, a six-core model that also comes with 3 GB of RAM. The firsts GeekBench 4 scores show that we are standing before a powerful device unlike anything on the market. Moreover, the iPhone X finally supports wireless charging technology thanks to Qi 3, which is a standard that is compatible with the vast majority of charging bases that can be found in stores. It comes alongside AirPower, an accessory that allows charging the iPhone, the Apple Watch and even the AirPods at the same time and on the same charging base. Maybe you have already heard something about augmented reality but, even in that case, this concept will only ring a bell in unusual phones, such as the Asus ZenFone AR. With the new iPhone X and iPhone 8, thanks to the iOS 11 update, the concept of augmented reality comes fully into your life without having to change the way you use your phone on an daily basis. Whether you decide to buy the new iPhone X, iPhone 8 or iPhone 8 Plus, or have the iPhone 7, iPhone 7 Plus, iPhone 6, iPhone 6s Plus, iPhone SE (meaning every model powered by A9 and A10 chips), by having iOS 11 you will gain access to a platform that will allow you to interact with your surroundings. The possibilities are infinite. You will be able to play games where the graphics are intertwined with your real-life surroundings or go to a restaurant and check the aspect of every meal on the menu using augmented reality. There are many more options that will come true as developers start working with the new ARKit platform. When will the iPhone X be available for purchase? 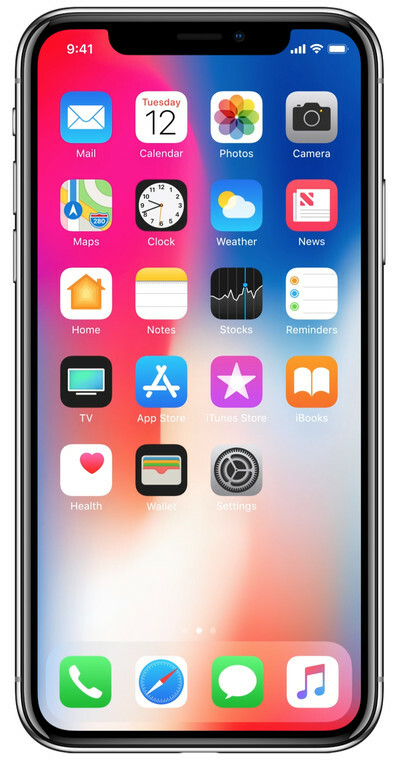 The iPhone X lands on American stores beginning October 27 (available for pre-ordering) at a $999 launch price, and the first units will be available for purchase beginning November 3. There will be two variants available for both storage capacities: a silver finish and a space gray finish. Moreover, we cannot forget that the Cupertino-based company also took advantage of this event to introduce other novelties, such as Apple TV 4K and the improved Apple Watch Series 3. Previous iPhone X vs. iPhone 8: which should you buy?